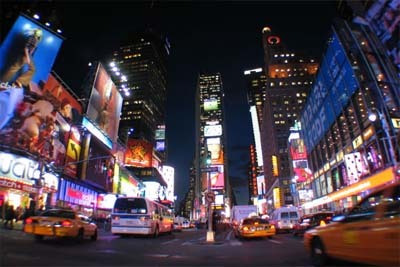 New York and Orlando a great combination of two of the best destinations in North America. 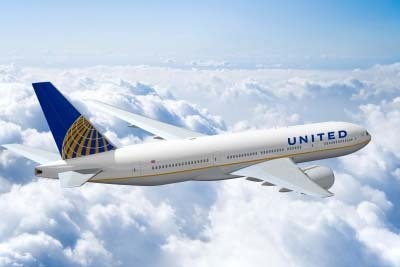 Flights from many regional UK Airports (supplements may apply) with United Airlines and spend 3 nights in New York before flying down to Florida and spending 11 nights in Orlando. Selected departures throughout 2020 just give us a call or send an email. This amazing itinerary begins with a choice of UK Airports to fly from, including Heathrow, Manchester, Birmingham, Belfast, Edinburgh, Glasgow and Dublin. Your flights will be with United Airlines direct to New York. Luggage of 23kg's per person, meals and soft drinks plus pre-booked seats are all included. On arrival in New York, take a taxi into Manhattan or a transfer if you have pre-booked one with us. There are numerous well reviewed hotels in Manhattan available, depending on the dates you are travelling but to name just a few, these include the Holiday Inn Midtown on 57th Street, The New Yorker Hotel and the Edison Hotel. Stay for 3 nights in one of the above or equivalent hotels in a Standard Room on a room only basis. After 3 nonstop nights in New York, head back to the airport & fly down to Orlando (direct). Again, either grab a taxi, car of shuttle and transfer to your Orlando Hotel. 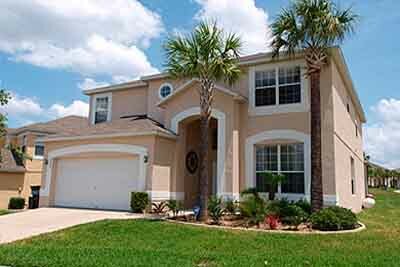 Orlando, like New York has a number of options which will fit into the price quoted - depending on dates etc. Your agent will advise you on the best accommodation for your party. Hotels we use include Homewood Suites International Drive, The Rosen Inn Pointe Orlando and Extended Stay Deluxe Sea World or how about a 3-7 bedroom private villa with its own pool, spa and/or games area! 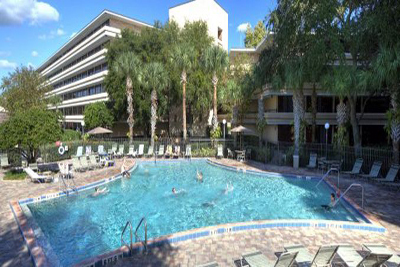 Most popular for this itinerary on the basis of cost and how much is included is the Extended Stay Deluxe Sea World - ideally located just off International Drive, with free shuttles to Disney & Universal Parks, a spacious Suite with Kitchenette facilities (including a fridge), decent reviews, FREE Wifi in all Suites and FREE continental breakfast daily. Unbeatable value we think! 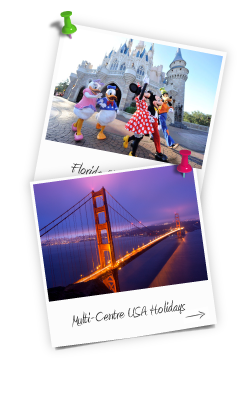 After 11 nights in Orlando, head back to the airport by transfer or car hire and fly home with United via New York or similar hub to the UK. Prices start from just £959pp based on a party of 2 adults and 2 children (aged 2-11yrs) sharing one room. *Breakfast & Wifi can be withdrawn by hotel at any time as it is currently a free offer run by them until further notice. All offers and prices are subject to our terms and conditions and availability at the time of booking. Various travel dates apply, and offers are based on maximum occupancy for accommodation. Resort fees/entrance fees are not included. If this offer is not exactly what you are looking for, or you would like alternative hotels/locations/airports, please contact us and one of our specialist travel consultants will create your holiday to suit your requirements.